Quantum dots, or QDs, are semiconductor nanoparticles or nanocrystals, usually in the range of 2-10 nanometers (10-50 atoms) in size. Their small size and high surface-to-volume ratio affects their optical and electronic properties and makes them different from larger particles made of the same materials. Quantum dots confine the motion of conduction band electrons, valence band holes, or excitons (bound pairs of conduction band electrons and valence band holes) in all three spatial directions. Quantum dots are also sometimes referred to as ‘artificial atoms’, a term that emphasizes that they are a single object with bound, discrete electronic states, similarly to naturally occurring atoms or molecules. 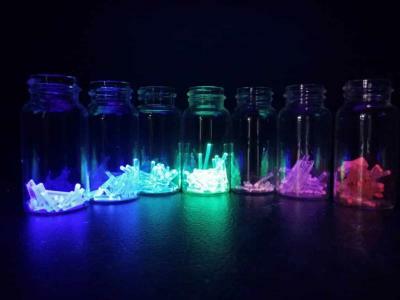 Many types of quantum dot are fluorescent - they emit light of specific frequencies if electricity or light is applied to them. These frequencies can be tuned by changing the dots' size, shape and material, opening the door to diverse applications. Generally speaking, smaller dots appear blue while larger ones tend to be more red. Specific colors also vary depending on the exact composition of the QD. Thanks to their highly tunable properties, QDs are attracting interest from various application developers and researchers. Among these potential applications are displays, transistors, solar cells, diode lasers, quantum computing, and medical imaging. Additionally, their small size enables QDs to be suspended in solution, which leads to possible uses in inkjet printing and spin-coating. These processing techniques may result in less-expensive and less time consuming methods of semiconductor fabrication. Quantum dots are considered especially suitable for optical applications, thanks to their ability to emit diverse colors, coupled with their high efficiencies, longer lifetimes and high extinction coefficient. Their small size also means that electrons do not have to travel as far as with larger particles, thus electronic devices can operate faster. Examples of applications that take advantage of these electronic properties include transistors, solar cells, quantum computing, and more. QDs can greatly improve LED screens, offering them higher peak brightness, better colour accuracy, higher color saturation and more. QDs are also very interesting for use in biomedical applications, since their small size allows them to travel in the body, thus making them suitable for applications like medical imaging, biosensors, etc. 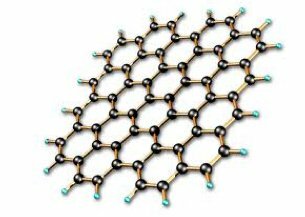 Graphene is a material made of carbon atoms that are bonded together in a repeating pattern of hexagons. Graphene is so thin that it is considered two dimensional. Graphene's flat honeycomb pattern gives it many extraordinary characteristics, such as being the strongest material in the world, as well as one of the lightest, most conductive and transparent. Graphene has endless potential applications, in almost every industry (like electronics, medicine, aviation and much more). The single layers of carbon atoms provide the basis for many other materials. Graphite, like the substance found in pencil lead, is formed by stacked graphene. Carbon nanotubes are made of rolled graphene and are used in many emerging applications from sports gear to biomedicine. The term graphene quantum dots (GQDs) is usually used to describe miniscule fragments, limited in size, or domains, of single-layer to tens of layers of graphene. GQDs often possess properties like low toxicity, stable photoluminescence, chemical stability and pronounced quantum confinement effect, which make them attractive for biological, opto-electronics, energy and environmental applications. The synthesis of graphene quantum structures, such as graphene quantum dots, has become a popular topic in recent years. While graphene usually does not have a bandgap - which is a problem for many applications - graphene quantum dots do contain a bandgap due to quantum confinement and edge effects, and that bandgap modifies graphene's carrier behaviors and can lead to versatile applications in optoelectronics. GQDs were also found to have four quantum states at a given energy level, unlike semiconductor quantum dots, which have only two. These additional quantum states, according to researchers, could make GQDs beneficial for quantum computing. Additional properties of GQDs such as high transparency and high surface area have been proposed for energy and display applications. Because of the large surface area, electrodes using GQDs are applied for capacitors and batteries. Various techniques have been developed to produce GQDs. Top-down methods include solution chemical, microwave, and ultrasonic methods. 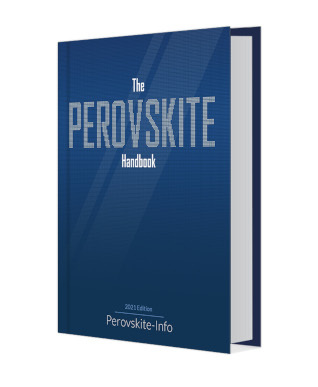 Bottom-up methods include hydrothermal and electrochemical methods. 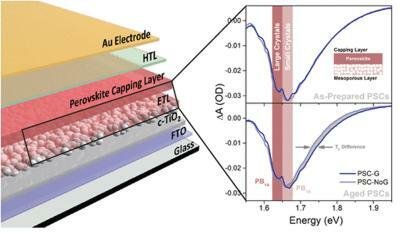 Scientists from Manchester University, the Ulsan National Institute of Science & Technology and the Korea Institute of Science and Technology have developed a novel technology, which combines the fabrication procedures of planar and vertical heterostructures in order to assemble graphene-based single-electron transistors. 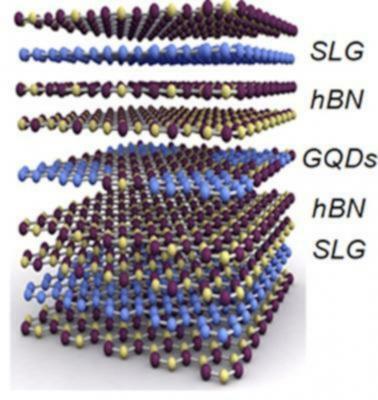 In the study, it was demonstrated that high-quality graphene quantum dots (GQDs), regardless of whether they were ordered or randomly distributed, could be successfully synthesized in a matrix of monolayer hexagonal boron nitride (hBN). Here, the growth of GQDs within the layer of hBN was shown to be catalytically supported by the platinum (Pt) nanoparticles distributed in-between the hBN and supporting oxidised silicon (SiO2) wafer, when the whole structure was treated by the heat in the methane gas (CH4). It was also shown, that due to the same lattice structure (hexagonal) and small lattice mismatch (~1.5%) of graphene and hBN, graphene islands grow in the hBN with passivated edge states, thereby giving rise to the formation of defect-less quantum dots embedded in the hBN monolayer. Dotz Nano (DTZ) has received a US$100,000 commercial sale of its ValiDotz security-markers and InSpec detectors from a Swiss anti-counterfeiting company offering integrated packaging solutions aimed at governing organizations. The sale reportedly follows extensive migration testing of Dotz’s anti-counterfeiting markers by the customer, which demonstrated ValiDotz’s accuracy and stability.